LG is finally flexing its muscle in the smartphone world with the launch of a new handset G Flex. The device boasts a curved touch screen, along with one of a kind “self healing” technology that the company claims can prevent scratches on the phone’s casing. This feature was compared to the superhero Wolverine’s ability to regenerate tissue cells to heal his wounds. The G Flex was revealed on Monday, following in the footsteps of rival company Samsung, which introduced its own curved smartphone device earlier this month. In a press release this week, the Korean company stated that the Flex is a well-rounded six inch tablet that will run on the Android 4.2.2, and will have a 720p OLED screen. The device is powered by a 2.26GHz quad-core, 2GB of RAM, a 3,500 mAh battery, a Snapdragon 800 processor and a 13-megapixel camera. It has LTE-A connectivity for good measure all wrapped up in a 177g package. The G Flex also boasts a number of other unique features. The most notable being the Swing Lockscreen that can see the lockscreen move to the direction of the curve. Another feature of the device will let the users pinch from the lock screen to open certain multimedia apps directly. It also features a “dual window” mode which enables the screen to be divided and help accommodate multitasking features. 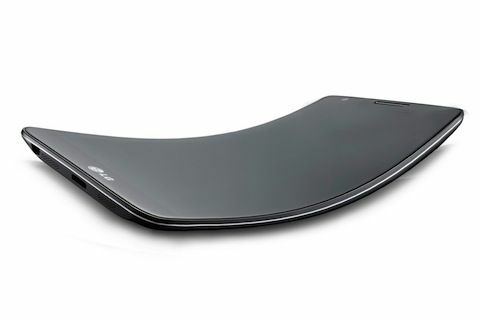 The sides of the phone are curved towards the viewer on the Samsung phone while on the G Flex; the 6-inch screen will be curved towards the user. The LG device has only been confirmed for release in South Korea while the company has said that it will announce more markets in the future. However, there is no word on where those might be as of now, further hinting that the smartphone could just be a test model for the company.